Jason joined Humane Haven Animal Shelter (HHAS) as a volunteer in August of 2010. 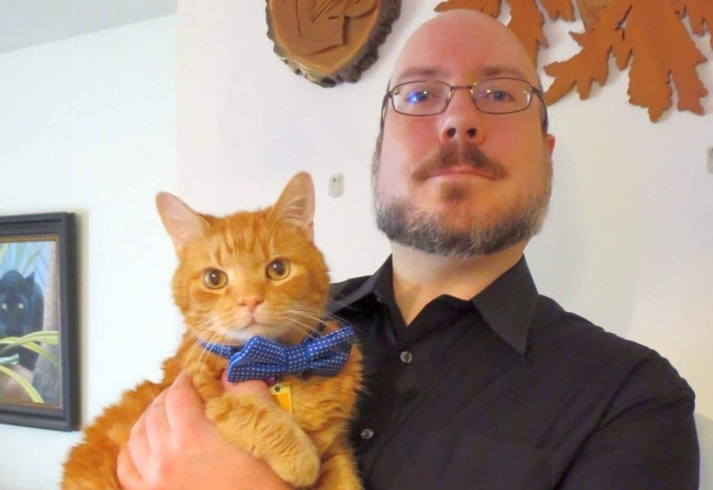 Originally he sought to help spread the shelter’s message via his interest in photography, but that soon changed into a role with a focus on cat socialization and care as he became part of the organization’s core team of volunteers. In late 2011, his experience with the Information Technology industry lead Jason to accept the Coordinator role on the shelter’s newly-formed I.T. Committee. In addition to his existing responsibilities, Jason would now work to focus on different ways to utilize information technology and the Internet to reduce operating expenses for the shelter, share the organization’s message, promote the available pets, improve the experience for volunteers and make it easier for potential adoptive families to find their new best friend. Growing up on a farm in Minnesota, Jason has always been around animals; cats have been a favorite since he was a child. Jason resides in Bolingbrook with his partner Pam (who is also an HHAS cat volunteer) and has been the proud guardian to many cats who were rescued by, and adopted from, HHAS.